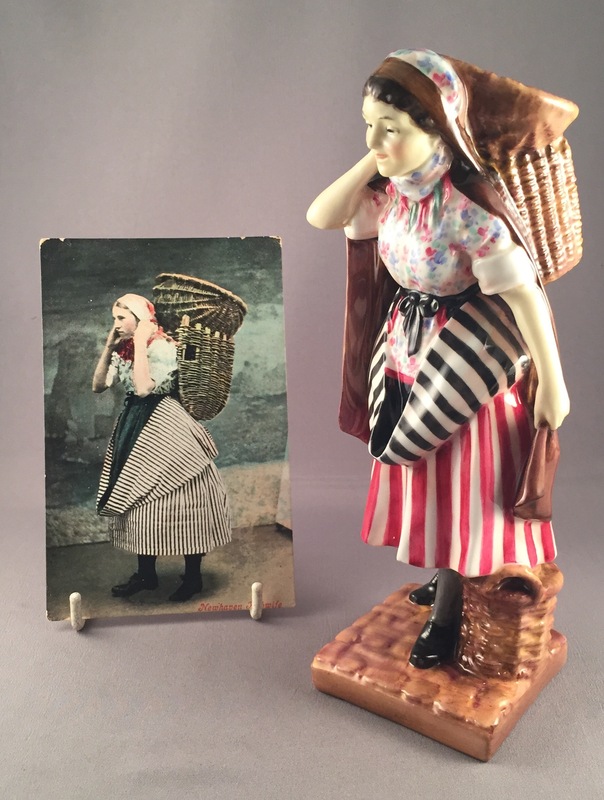 The Royal Doulton figure Newhaven Fishwife HN 1480 is like so many of their period street sellers and character figures, based closely on real life. 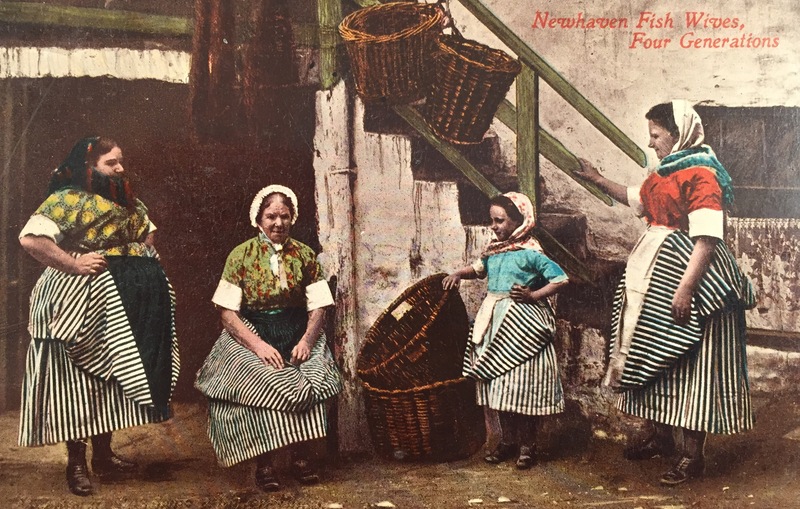 The Scottish fishwives of Newhaven had a reputation for their beauty and industry. 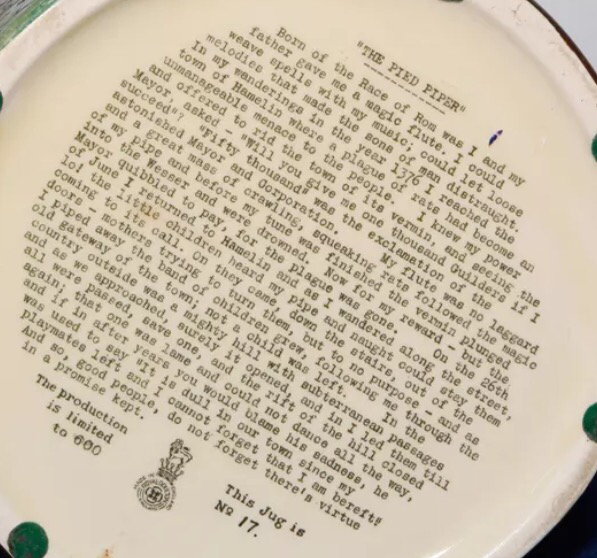 They were hard-bargainers though, and all the fishermen of the Firth of Forth in Edinburgh, Scotland, brought their catches to Newhaven for the fishwives to sell in Edinburgh city. 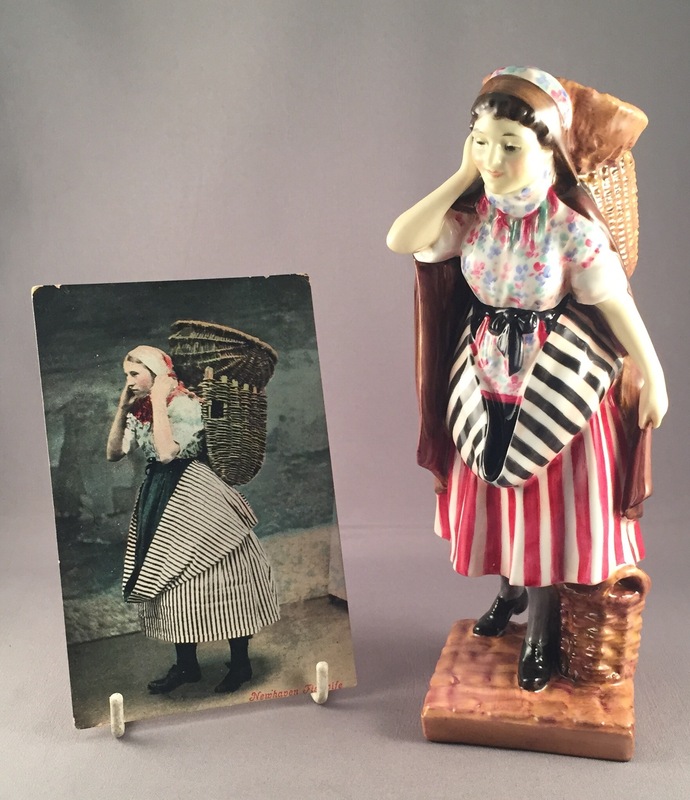 Just like the Doulton figure, the fishwives of Newhaven wore distinctive costumes of layers of colourfully striped petticoats with a muslin cap or other similar headdress, together with a scarf, the tassels of which you can make out in the picture and also around the neck of the figure itself. Their fish, including haddock and herring, were carried on their backs in creels, again just like the figure. 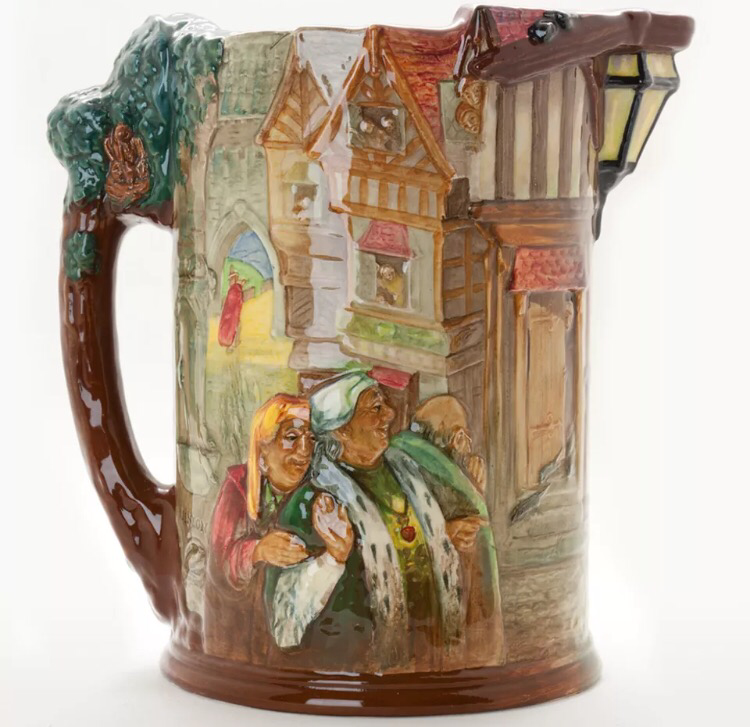 The Newhaven Fishwife although introduced in the 1930s, was not a Leslie Harradine figure, but a model by Harry Fenton, more famously associated today with Doulton’s Character Jugs. 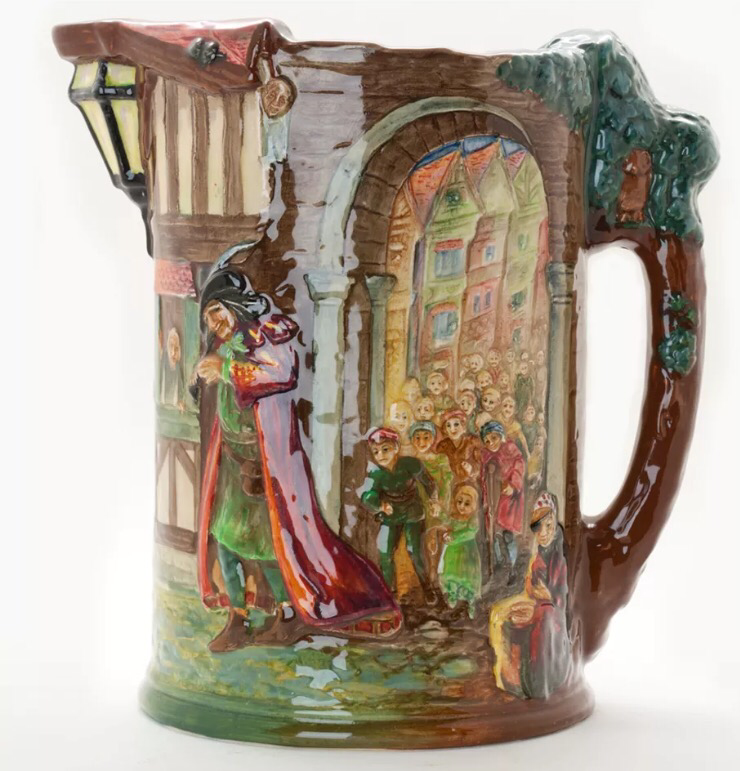 She is recorded as having been produced between 1931-37, however, her scarcity reinforces the reality that many figures were made to order rather than being readily available.